Welcome, and thank you for accessing the home page of our Society. Here, I would like to introduce the features of the industrial heritage of the Chubu Region and the activities of the Chubu Society for the Industrial Heritage. Situated geographically in East Asia, Japan is surrounded on all sides by oceans. Its neighboring countries include Russia, China, and Korea. Japan is comprised of four large islands and some smaller islands, and its area of 380,000 square kilometers has a population of 120,000,000. The Chubu region is located approximately in the center of Honshu, the largest of the four main islands. On the other side of the Chubu region lie the capital city of Tokyo to the east and cities of Osaka and Kyoto to the west. Japan's national economy is structured around the importing of energy resources, industrial materials, and food from various countries, and the exporting of high-quality technological products such as automobiles and electrical machines. The Chubu region as defined in this home page will be comprised of the five prefectures of Aichi, Gifu, Mie, western Shizuoka and southern Nagano. Among these, Aichi, with a population of 6,900,000, is the largest prefecture and is the major center of industry, with automobile production leading the way. Aichi also has as its major industries steel, aircraft, machine tools, textiles, and porcelain. According to the statistics from 1997, Aichi Prefecture's GDP was 1% of that of the entire world, surpassing even those of entire nations with middle-level GDPs, such as Australia and Sweden. The major industries of the other prefectures are as follows: for Gifu, cotton and wool fabrics and porcelain; for Mie, petrochemical products and automobiles; for Shizuoka, motorcycles, musical instruments, paper and tea; and for Nagano, precision instruments such as cameras and watches. We can safely call the Chubu region the kingdom of goods production in Japan. It is important to keep in mind, however, that this status was not achieved overnight. The transplantation of various technologies from the West marked the Meiji Era, and these technologies were gradually altered to suit domestic needs to become entities independent of their foreign origins. This independence led to greater significance being placed upon the field of engineering. The course that Japan's industrial and technological development took in the Twentieth Century can be said to be a miracle in world history. The Chubu region has many monuments of industrial heritage, museums and archives that eloquently tell us the historic facts behind this development. 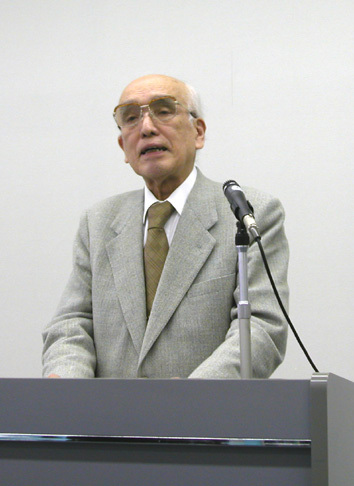 Its origins are in the Aichi Research Society for Engineering Education, which was founded in the 1970's for the purpose of incorporating the history of engineering into engineering education. In 1984, the Society for the Research and Preservation of Industrial Relics and Remains of Aichi was founded. The organization expanded its activity territory to include the entire Chubu region and founded the Chubu Society for the Industrial Heritage in 1993, and maintains this structure to the present day. In these meetings, members bring in their information regarding the industrial heritage in various forms. "Studies on the Industrial Heritage," published annually. Research expeditions and investigative tours are conducted whenever the occasion arises, to Chubu's monuments of industrial heritage and pertinent museums. In addition to the bi-monthly meetings, two symposiums are conducted annually, one entitled "The Eyes to the Engineering History of Japan," and the other, "The Course of Chubu's Electricity." These provide an opportunity for the members to publicly exhibit the results of their research. In 1999, the Society published a Japanese guidebook which introduces the resources on industrial heritage in the Chubu region, entitled "REDISCOVERING THE ART OF MUNUFACURING: A JOURNEY THROUGH THE INDUSTRIAL HERITAGE OF THE CHUBU REGION" (310 pages). In 2001, the Society published a 48-paged English guidebook, which is an abridged, redesigned version of the former Japanese book, with the same title. The guidebook is divided into two principal sections. The first section contains 15 two-page chapters, each focusing on a particular technology, such as "Spinning and Weaving," "Bricks," etc. The second section of the guidebook provides a list of industrial museums and archives in the five prefectures that make up the Chubu region. These guidebooks are available at the administrative office of the Society.